Five years ago, I bought a safe for my son’s doctor to store drugs. It was blue, about three feet square, and weighed 965 pounds—like the Acme safes Wile E. Coyote used to try to drop on Road Runner. My family and I had evidence the drugs might cure our 11-year-old son of his relentless seizures. But because the drugs contained a derivative of a cannabis plant known as cannabidiol, or CBD, the drugs had to be handled like they were heroin, or any other so-called Schedule 1 drugs. Every few months when a new shipment arrived, I or my wife Evelyn would appear at UCSF doctor Roberta Cilio’s office door. She’d open the safe, make us sign some papers, and give us Sam’s medicine in a brown paper bag to take home. The medicine did help our son, and a whole lot more. Sam’s seizures dropped from 100 a day to about five a day—and GW Pharmaceuticals, the manufacturer, was so encouraged by his response that it started talking to epilepsy doctors about clinical trials. On Monday, the Food and Drug Administration approved the drug, now known as Epidiolex, for sale in the US. It will likely be available via prescription at pharmacies in the fall. Like any new drug, we won’t know whether it lives up to its hype for a while. What’s clear is that it will permanently change the way we talk about cannabis in America. Cannabis is as legal as alcohol in Washington, DC and eight states, including the entire West Coast. But doctors, scientists, and hospital administrators are governed by federal, not state law, which makes studying cannabis a risky, time-consuming endeavor. That’s about to permanently change. Early evidence suggests CBD could be useful not just for epilepsy, but a broad spectrum of neurological diseases like Parkinson's, Alzheimer's, multiple sclerosis, and some brain cancers. “There are neuroscientists who are drooling to work on this,” said Elizabeth Thiele, director of the pediatric epilepsy program at Massachusetts General Hospital and one of the lead investigators in the GW trials. 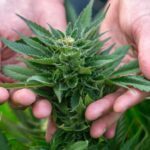 Once the DEA reschedules Epidiolex, they finally will be able to. The approval also enables GW itself to accelerate its own internal cannabis research. GW is already testing Epidiolex for the treatment of tubular sclerosis, a disease other than epilepsy that often causes seizures. Beyond that, GW now has political capital with US regulators that it plans to use to get approval for Sativex, a THC and CBD mouth spray for cancer pain and multiple sclerosis, which has been available in the UK since 2010 and in other European countries like Germany since 2011. If that product is approved, American scientists will finally have a relatively easy, legal way to test the effects of dosed THC for many disorders. For the moment, the biggest unknown is how insurance companies will decide to cover Epidiolex. The double blind, placebo-controlled trials required for FDA approval only covered two rare brain-destroying pediatric types of epilepsy—Dravet Syndrome and Lennox Gastaut Syndrome. About 50,000 patients are affected by these two illnesses. But there is already evidence that Epidiolex could help with dozens of different types of seizures and epilepsy syndromes. Indeed, two-thirds of the 1,756 patients who have tried Epidiolex in the past five years didn’t have Dravet or LGS—including Sam. Demand for Epidiolex was so high among drug-unresponsive patients like Sam that GW allowed neurologists at more than four dozen hospitals that weren’t part of the formal trials to conduct their own so-called open label trials. It helped GW learn more about how Epidiolex worked in a broader population, and it allowed a lot of sick patients to get access to medicine that might help them. That parallel research should make it easier for doctors to prescribe the drug for other illnesses, a practice known as “prescribing off label.” It just means that in a doctor’s professional opinion a certain drug is worth trying, and it happens a lot with epilepsy drugs, Thiele says. The reason that pharmaceutical firms focus on rare diseases like Dravet and LGS—at least for seizure drugs—is driven as much by business and bureaucratic considerations as medical ones, doctors and pharmaceutical executives have told me. It’s difficult to get permission to do drug trials in children unless those kids have illnesses like Dravet and LGS. In addition, companies can get FDA approval faster and have patent protection for longer if they develop drugs for rare diseases like Dravet or LGS. What all this means is that GW will need to ensure that patients already taking Epidiolex for other forms of epilepsy don’t suddenly wake up in the fall and become compelled to pay full price for medications that work for them. It also means that doctors will need to marshal their expertise and the data that already exist. Thiele says that insurance companies eventually decide to cover epilepsy drugs for many more kinds of seizures than they were originally prescribed. The only question in her mind is how long that will take. The one thing she does know is that the public pressure for insurance companies to cover Epidiolex broadly will be intense. “Every epileptologist I know says that patients have been asking when they can get Epidiolex for a year now,” she adds. As for Sam, he wants to be a neurologist when he grows up. Two and a half years ago, when we combined Epidiolex with another drug, Sam’s seizures stopped completely. Sam, now 17, has medical permission to drive a car, something along with—well, everything—that seemed impossible to imagine five years ago. 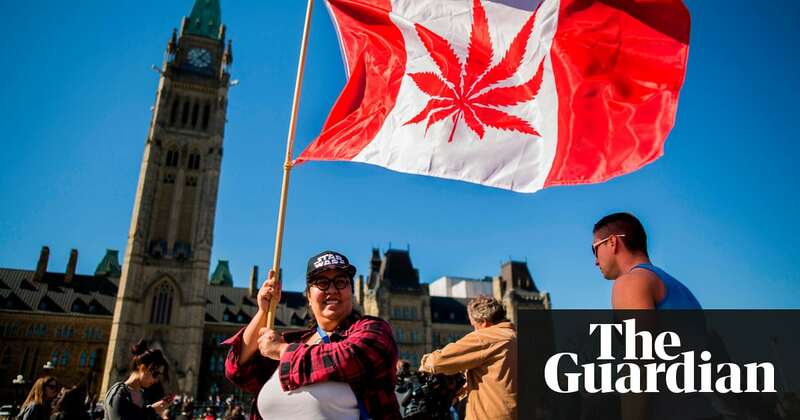 Marijuana will become fully legal in Canada on 17 October, prime minister Justin Trudeau has said, ushering in a landmark change that he expects will take significant chunk out of profits flowing to organised crime. Speaking to reporters for the first time since the senate set the stage for Canada to become the first country in the G7 to fully legalise cannabis, Trudeau said: Obviously the current approach the current prohibition of marijuana has not worked to protect our kids, to keep the money out of the pockets of organised crime and thats why were bringing in a new legalised framework around marijuana, he said on Wednesday. Trudeaus Liberal government introduced legislation last year in a bid to make Canada the second country in the world to legalise cannabis, after Uruguay. Medical marijuana is already legal in Canada. Trudeau expected that the end of 95 years of prohibition would immediately begin to curtail the estimated C$6bn ($4.5bn) in profits pouring into the black market. And over the following months, and indeed years, we will almost completely replace the organised crime market on that, he said. Initially the federal government had hoped to launch retail sales by July this year. Trudeau said: One of the things that we heard very clearly from the provinces is that they need a certain amount of time to get their bricks-and-mortar stores and their online sales ready. Producers need time to be able to actually prepare for a regimented and successful implementation of the regime … This is something that we want to get right. Once legalisation goes into effect, Canadians will be able grow up to four plants in their home and carry up to 30 grams of dried cannabis for personal use. Theyll be able to prepare edibles at home for personal use and share up to 30 grams between adults. Those caught with more than this amount, or who supply marijuana to minors, will face stiff penalties. Sales of cannabis will vary widely across the country. In Alberta, recreational cannabis will be available at more than 200 private retailers while in New Brunswick, the provincial government will operate a chain of stores called Cannabis NB. Many questions remained unanswered, however, such as how police will test motorists suspected of driving under the influence, whether provinces will be able to ban home cultivation and how legalisation will interact with the roughly 400,000 people a day who cross the US-Canada border. The federal government is also under renewed pressure to pair legalisation with pardons for the hundreds of thousands of Canadians with prior marijuana convictions. On Wednesday Trudeau said it would be illogical to consider the issue before the new law comes into effect. Weve said that we will look at next steps once the coming-into-force happens but between now and then the current regime stays. Yesterday morning a tall, lanky 16-year-old boy in a red polo shirt stood at a podium in front of a roomful of doctors, scientists, and regulators and told them about how a drug they were considering for approval had changed his life. “I had seizures for 10 years,” he said. “My parents tell me there were times I had seizures 100 times a day.” Now, he said, he has been seizure free for nearly two and a half years. “I can understand what goes on at school,” he said. “And I can have adventures that never would have been possible before.” He told them about how seizure freedom enabled him to study to be a Bar Mitzvah in 2016. He told them about a school trip he’d just taken without his parents to South Africa—12,000 miles from home. And he said that he hoped to become a neurologist one day so that he could help other people with epilepsy. The audience, despite being told not to applaud speakers until the end, clapped anyway. The whole event, which I watched on a live stream from my home office in Berkeley, was one of the thrills of my life. Sam is my son. He and my wife Evelyn both testified because Sam was the first person in the US to take Epidiolex back in December 2012. After trying more than two dozen medications, a crazy sounding diet, and corticosteroids that made Sam look like a cancer patient, Epidiolex—which didn’t even have a name when Sam tried it—was truly our last option to help him. The author’s son, Sam Vogelstein, testified Thursday in Washington DC before the FDA’s advisory committee. I should mention that Epidiolex is derived from cannabis. Its active ingredient is cannabidiol, aka CBD, which is a chemical in the plant that doesn’t make you high. The pending approval of Epidiolex isn’t just a big deal for me and my family. It’s a big deal for 3 million people in the US who have epilepsy, and, if approved elsewhere, 73 million people worldwide. Epilepsy affects about one percent of the world’s population, more than Parkinson’s and Multiple Sclerosis combined. And yet for all humanities’ scientific prowess, only about two-thirds of people who take epilepsy medicines become seizure free. The imminent approval of a medication that might shrink the number of unresponsive patients is a major, even historic, development. It’s also a big deal for cannabis research and by extension the cannabis legalization discussion. Epidiolex will be the first FDA approved drug derived from a cannabis plant. It can’t get anyone high because the manufacturer extracts all the THC during production. To manufacture CBD, GW maintains tens of thousands of cannabis plants in hothouses all over the UK. It extracts the CBD from the plants in a lab, ending up with a 100 milliliter bottle of strawberry flavored sesame oil that it ships to the US. A common refrain from cannabis opponents has long been that there is no scientific evidence that anything associated with cannabis can be medicine. And that’s been true because regulators and police worldwide make studying illegal substances like cannabis nearly impossible. But to get this far in the FDA approval process, GW had to marshal the same scientific evidence of safety and efficacy that every other drug manufacturer must present. It created a medicine that was consistent from dose to dose, bottle to bottle, and batch to batch. It conducted all the required placebo controlled trials, administered by doctors in hospital settings. And those doctors published peer reviewed research in top medical journals like the New England Journal of Medicine. “It’s an honor to be participating in a (cannabis) decision based on science instead of politics," said panelist Mark Green, professor of neurology and anesthesiology at the Icahn School of Medicine in New York, after the vote. Indeed, it doesn’t require too much imagination to see how Epidiolex’s pending approval forces a public reckoning on how we think about cannabis nationally. Attorney General Jeff Sessions has made no secret of his virulent opposition to the legalization of cannabis in any form. He has said that “good people do not smoke marijuana.” Yet, assuming Epidiolex gets formal FDA approval, he will have to weigh in through his supervision of the Drug Enforcement Administration. At the moment, CBD is a Schedule 1 drug like cannabis. Its medical use—except in the specially approved trials that proved its effectiveness—is not allowed. The DEA must reschedule it before it can be sold. Technically, the DEA could refuse. But it would have to explain how it—a police agency—was in a better position to make that call than the FDA, an agency of scientists and doctors. An explanation would also be needed for neurologists, and the parents of millions of very sick children. The DEA can’t delay its decision either. By law it must rule within 90 days. All that maneuvering would be moot, of course, if Congress decides to pass a law legalizing cannabis entirely, as Senate Minority Leader Chuck Schumer proposed last night. He is not the first senator to propose such a law, but he is by far the most influential to do it. “If smoking marijuana doesn’t hurt anybody else, why shouldn’t we allow people to do it and not make it criminal" he told Vice News. By now you are probably wondering what a family from California like us was thinking when it traveled to the UK to have their kid try a drug derived from a cannabis plant. Remarkably, that’s where you had to go to get pharmaceutical grade CBD back then. We tried to procure it from artisanal producers here for six months. Everything we tried turned out to be ineffective and sometimes fraudulent. 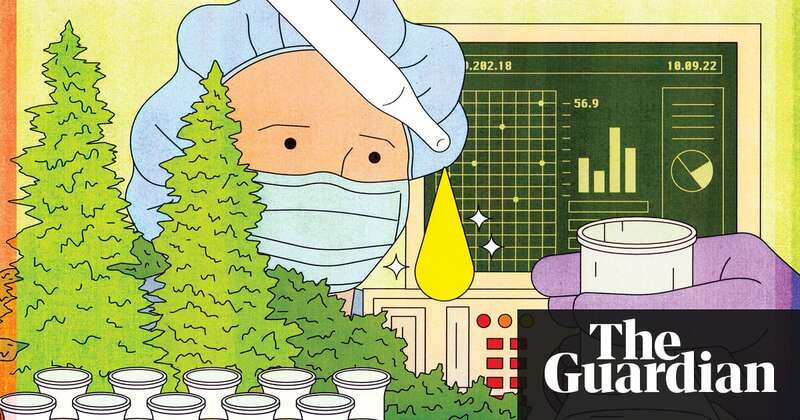 Getting the CBD out of cannabis plant is complicated, expensive, and time consuming. The artisanal CBD market is more robust today. There are some good, reliable preparations that are helping epilepsy patients who could not get into the GW trials. Hopefully they will force GW to keep Epidiolex affordable. But many parents have told me that in a perfect world they'd just go to the pharmacy to treat their kids' seizures. They have complicated lives, but simple needs. They want the same experience they get when they fill a penicillin prescription: a cure. Sean Spencer is a pretty successful entrepreneur in LA's startup community but he also struggles with depression. He and many others use ketamine to help with their lows. Pax CEOBharat Vasan and the Pax Era (not to scale), which will now help you microdose. It’s rare that you find a company that specifically wants to help you use its product less, especially in the marijuana space. But that’s just what vaporizer maker Pax Labs is delivering in an update to its Pax Era device and app Tuesday: the ability to inhale cannabis in truly tiny doses. This is unusual, because the era of pot prohibition was all about more: growers with limited space competed to give you a bigger and better high, packing their strains of weed with ever greater amounts of THC (and more recently the other major active ingredient, CBD). SEE ALSO: What’s killing more pedestrians: smartphones or legal weed? In the first flush of pot legalization, this extreme potency trend continued. Edibles were enormously strong (as columnist Maureen Dowd famously discovered to her chagrin), and the fashionable thing among some stoners was “dabbing” — superheating concentrated cannabinoid oil for a fast, insanely strong high. But with legalization spreading rapidly across the country — just yesterday, New York state got behind it — times have changed. The frontier of middle-class consumerism has opened up. Stressed suburban moms and busy executives are the new target audience, not stoners with high tolerance levels. Microdosing has been a thing for some time; it’s also an increasingly popular therapeutic way to take LSD. But when it comes to marijuana, establishing what doctors call the minimal effective dose has involved experimenting with tinctures or taking tiny amounts of edibles — not necessarily something a newbie has the patience or the gumption to do. Enter the Pax Era. Launched in late 2016, this $30 flash drive-sized vape uses concentrate-filled “pods” made by third parties (more than 250 kinds of pod are now available at dispensaries across the U.S.). If it looks just like the popular nicotine vape called the Juul, that’s because Pax Labs was spun off from the company that became Juul in 2017. Pax has been busy post-Juul. It brought on a new CEO, Bharat Vasan: steeped in Silicon Valley, Vasan was an executive at Electronic Arts, then co-founded a wearable device company that was bought by Intel for $100 million, then sold a smart lock and doorbell company before Pax came calling. 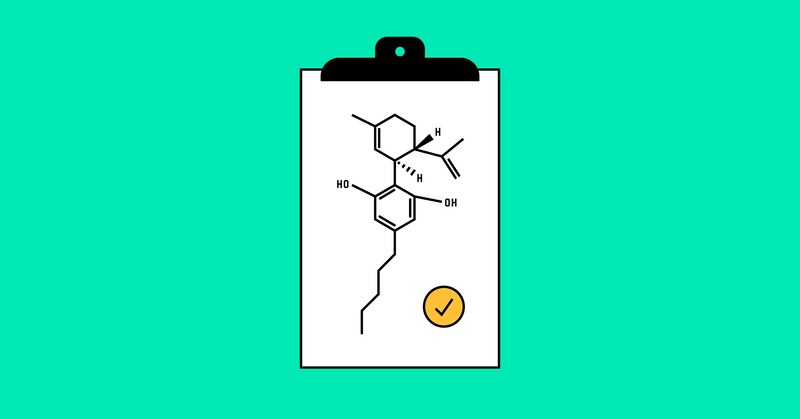 The Era’s new microdosing ability comes via an update to its Bluetooth-linked app (iOS or Android) called Session Control. It marks Vasan’s first major impact on Pax’s direction. The Pax Era’s new dosing options. “Session Control make the vaping experience more predictable for people, especially those who are new to cannabis,” says Vasan. He and Jesse Silver, who is both Pax Labs’ VP of product and a prolific Burning Man artist, gave me an advance look at how it works. Up until now, the Pax app has allowed you to set the temperature of the vapor, allowing either for more subtle flavor or larger clouds from the Era. If that’s the horizontal axis (literally, on the app) Vasan and Silver see Session Control as the vertical axis controlling how much you get. Turn the feature on and you have the options of micro, small, medium or large doses. A bar appears on the screen. Once you fill the bar with green by inhaling on the Pax Era, you’re done — or rather, you’re locked out of using the device for 30 seconds. Of course, you can just keep hitting the Pax again after 30 seconds if you want to defeat the purpose. (Or, if you’re not in the app, take the pod out and put it back in to disable Session Control.) But for those who are actively seeking moderation, or looking to eke out the contents of those expensive Pax Pods (which sell for anywhere between $30 and $100, depending on the strain), it’s an excellent constraint. How did Pax decide what a micro hit was? Technically, it’s all about the number of joules (not Juuls) of energy applied to the Pod by the Pax’s USB-chargeable battery. This is why you shouldn’t expect to see Session Control on Pax’s larger and more expensive vaporizer for cannabis flower, the $200 Pax 3; it’s harder to control the amount of energy provided to the Pax 3’s oven. That thing gets so hot, you can get high from it immediately after it’s turned off. But how did Pax decide how many joules were necessary? With the help of feedback from a large and enthusiastic beta testing community. This kind of feedback will determine where the company will go with Session Control technology in the future — possibly providing an “Extra Large” option, Vasan suggested, or an even more micro microdose. Or maybe allowing users with poor impulse control to change the amount of time they’re locked out of the device. 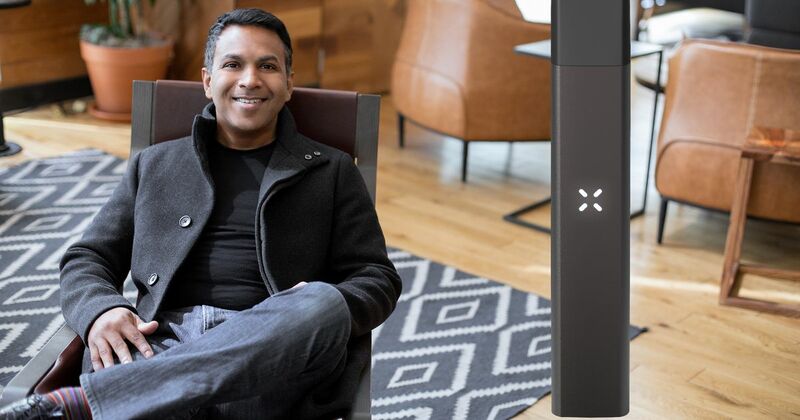 Regardless, it’s an intriguing strategy that helps Pax in its goal to become what Vasan calls the iPhone of vaporizers: it just works, however you want it to work. Technically, encouraging people to use the product less (or in smaller doses) doesn’t affect Pax Labs’ bottom line, since the Pods are all filled by third parties. Pax just makes empty Pods and licenses their use. And if more people have a better, low level, more manageable experience while vaping weed, perhaps they’ll become long-term customers. And perhaps they’ll sample more Pax Pods now that they can effectively sip them. In this, as in so many other areas of consumption, less is more. 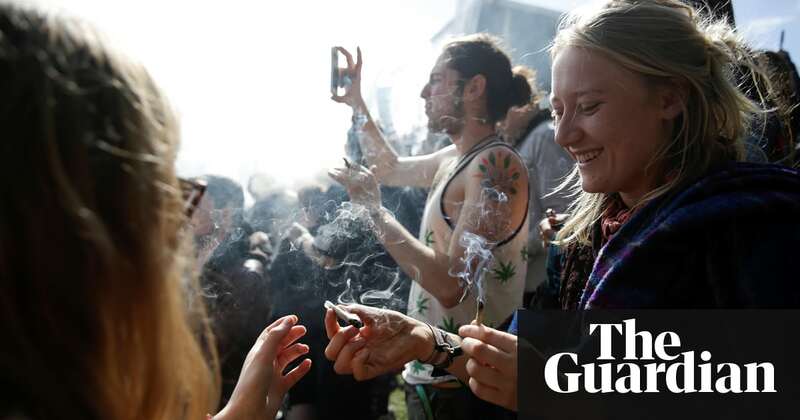 Canadas senate has voted to legalise recreational marijuana, clearing a major hurdle as the country moves towards becoming the first in the G7 to fully legalise the drug. The countrys upper chamber voted 56-30 on Thursday in favour of legislation aimed at ending more than 90 years of prohibition. The senate, however, added nearly four dozen amendments, meaning the legislation will now return to the House of Commons for consideration. 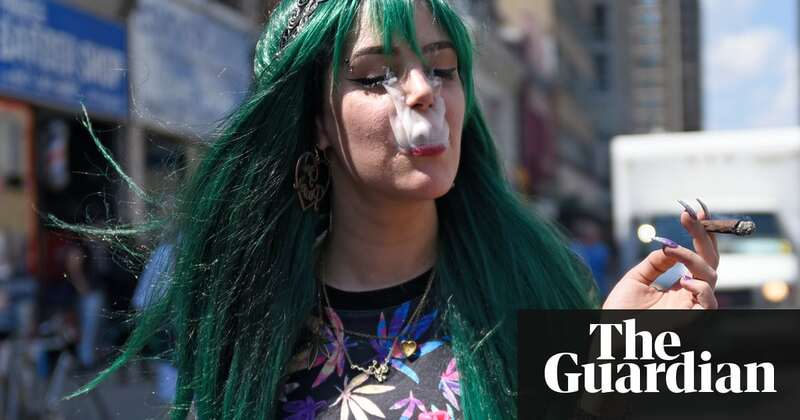 The federal Liberal government, led by Justin Trudeau, introduced the legislation last year in a bid to make Canada the second country in the world to legalise the cannabis, after Uruguay. Medical marijuana is already legal in Canada. The legislation divided the responsibilities between the federal and provincial governments, with Ottawa responsible for regulating production while leaving it to provinces and territories to decide how the drug will be distributed and sold. Once passed and implemented, those who want to grow their own marijuana will be limited to four plants per household. Canadians will be allowed to carry up to 30 grams of dried cannabis for personal use while those who sell or give marijuana to minors or who drive under its influence will face stiff penalties. Since becoming the Liberal leader in 2013, Trudeau has argued that the decriminalisation and regulation of marijuana would help keep the drug away from children and ensure profits dont end up in the hands of what he described as criminal elements. While the sale of recreational marijuana is not expected to begin until August or September, the senate vote was one of the major obstacles standing in the way of legalisation as Conservatives senators sought to block the initiative. The many amendments added by the senate and which will now be considered by MPs reflect some of this opposition, such as tighter restrictions on advertising by cannabis companies and allowing provinces to prohibit home cultivation. Over the course of my life, I have been convicted in four separate trials, sentenced to a total of 69 years in prison, and after many appeals served just over 20 of them the first two in maximum security. I was finally released on parole in 1997. Given the length of time I was incarcerated, you might be thinking that I was involved in hard drugs or violence. After all, some murderers do less time than I did. But my crime? Conspiracy to import, possess and sell cannabis. I brought in tons of hash from the Middle East and tons of pot from Jamaica, Mexico and Colombia. Torontos infamous Rochdale College was my home base. After my first trial, I told the judge: Im going to do it again and I did but I can assure you I never got involved with any harder drugs, let alone anything violent. I was strictly a pot guy: a hippy capitalist from Belleville, Ontario, who wanted as big a piece of the North American market as he could get. In jail, I saw myself as a prisoner of the war on drugs one of the thousands of others who lost part of their future in the long, cruel and ultimately futile attempt to stop people from buying, selling and smoking weed. Norman Mailer testified on my behalf at my first trial, Neil Young at my second. Young told the court that he took exception to the prevailing stereotype of deadbeat pot smokers who could never make a positive contribution to society, pointing out that he was a prodigious toker and yet he still likely paid more taxes than everyone else in the court room combined. Now a new day is dawning in Canada or so it seems. Possession of pot for recreational use is about to be legalized. Canadians will be able to possess up to 30 grams, buy it, share it, put it into edibles and grow a few plants. To be honest, Ive never considered myself to be a marijuana activist. I wasnt a campaigner for legalization: I was making big money, and legalization would have been bad for my business. I also dont trust or respect politicians, especially when it comes to pot. In 1969, the prime minister, Pierre Trudeau, set up the LeDain Commission to study the pot scene in Canada. After hearing from thousands of Canadians, the report recommended cannabis possession be legalized. I was 18 at the time, a pot smoker and hopeful. Nothing happened. Fifty years later, however, the war on pot is finally over, and my side has won. So why am I not celebrating? Lets start with the movement to grant amnesty to people with past cannabis convictions. Im glad that the prime minister, Justin Trudeau, has said he plans to move forward in a thoughtful way on fixing past wrongs that happened because of this erroneous law. If the law is so erroneous, however, why is his government continuing to bust people for possession? In 2016, more than 17,000 Canadians were charged with a law that will soon disappear. Offering them amnesty would be a nice gesture, but the damage will have already been done. Why charge them in the first place? And how would amnesty work? After legalization in their states, several US cities, including San Francisco, Seattle and San Diego, moved to expunge all records of felony convictions for cannabis possession. Will Canada do the same? If not, amnesty will be a hollow gesture. Even then, Canadians with pot convictions may still not be allowed to travel to the US because American authorities have their conviction records on file. Im also bothered by the fact that the governments current plan is to bar people with pot convictions from participating in the huge marijuana economy that is now emerging. We have the expertise. We know how to grow high-quality plants. We have the distribution networks. The governments policy is unfair, punitive and discriminatory: if it really believed in amnesty, it would let people with non-violent records for possession lead the way. Instead, the government has turned the pot economy over to the people who lost the drug war: the cops and politicians who were responsible for destroying so many lives by turning pot smokers into criminals. Theyve been given the keys to the vault. Theyll be profiting from the same activities they used to prosecute. The hypocrisy is staggering. Look at Julian Fantino, the former chief of the Toronto police service. In 2015, then a Conservative MP, Fantino declared his complete opposition to legalization, likening the decriminalization of marijuana to legalizing murder. Today, hes on the board of directors of Aleafia, a company that connects patients to medical marijuana. When asked about his change of heart on pot, Fantino replied that he had embarked on a fact-finding mission and discovered that marijuana was not the demon drug he once thought it was. Perhaps he should have done some fact-finding before he started tossing people in jail. Also on the Aleafia board is Gary Goodyear, who held several cabinet positions in Stephen Harpers government the same government that proposed mandatory minimum sentences for anyone convicted of growing at least six marijuana plants. So is Raf Souccar, a former deputy commissioner of the RCMP whose portfolio included drug and organized crime enforcement. Former deputy Toronto police chief Kim Derry and ex-Ontario premier Ernie Eves are also members of the old law-and-order crowd who have rushed to cash in on the legalization of marijuana. On its website, Aleafia describes Fantino as a leading expert on drug enforcement. Theyve got that right. Ive never had the pleasure of meeting the man, but shortly after joining the Toronto police department in 1969 he became a member of the drug squad, one of the hundreds of Toronto cops who pursued me relentlessly throughout the 1970s. Now he gets to cash in on the legalization of marijuana, while people with criminal records for something that is soon to become legal languish on the sidelines or, in many cases, still in jail. If Im a criminal, what word would you use to describe Fantino and all the other ex-cops and politicians who are now looking to get rich by switching to the other side? A simple amnesty is not enough. It should include an apology for ruining the lives of hundreds of thousands of people for no legitimate reason. They should be asking us to forgive them. I sentence them to have to live with themselves for the rest of their lives. When Canopy Growth opened its first cannabis factory in an old chocolate plant near Ottawa four years ago, it did so predicting a bright future. Canada had already legalized medical marijuana, and Canopy predicted full legalization for recreational use to be next. What the company hadnt predicted, however, was the sudden flood of foreign visitors. Politicians and police authorities from Jamaica, Germany, Denmark, the Netherlands, Greece and Australia have all come knocking, as well as doctors from New Zealand, Brazil and Chile, along with groups of corporate investors and bankers so many that Canopy now sometimes splits up the groups according to their birthdays. We knew wed have to give a lot of tours, so we just cut a window into the wall, said the company spokesman, Jordan Sinclair. We put windows in all of the doors. Canada will be thrust even more directly under the international microscope on Thursday, when a vote in the Senate is expected to ratify Bill C-45, effectively making Canada the first G20 nation to legalize recreational marijuana. Its going to be a bit of a science fiction experience for a while, said Benedikt Fischer, an expert on substance use at Torontos biggest psychiatric hospital. Its unique in the world, because its happening for the first time in a wealthy country. Its not like in the US, where there are these state experiments. Most people kind of ignore Uruguay. And so the world is really looking at this. Governments, researchers and business leaders around the world all have their own reasons for keeping tabs. Legalization could affect Canadas crime patterns, health and countless other factors but exactly how, no one yet knows. 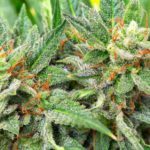 Each Canadian province plans to roll out its newly legalized market in a slightly different way, creating about a dozen mini-laboratories within one massive test case. Even places that have already taken the legalization plunge are hoping Canada will solve some mysteries. After Colorado legalized marijuana five years ago, for example, organized crime reacted by ramping up supplies of black tar heroin, opiates and harder drugs, said Dr Larry Wolk, the states top public health official. But Wolk says he is interested to watch that process unfold on a bigger scale in Canada, where the new law is expected to deal a much more significant blow to the black market. Any new mix of illicit drugs in the country could have new effects on public health. Whats the impact of marijuana legalization on the opioid crisis? he asked as an example. Does it actually act as a substitute so that people can get off opiates for chronic pain? Is there a positive impact? Or is it a negative impact, because as a result theres more opiates in the black market? Is [pot] a gateway? We dont really have an answer. One delicate balance for Canadian authorities has been guessing at what kind of pricing will be low enough to eradicate illicit sales yet not so low as to entice new users. Canadas finance minister, Bill Morneau, recently said the goal is keeping cannabis out of the hands of kids and out of the black market. That means keeping the taxes low so we can actually get rid of the criminals in the system. One sign of success will be if Canada not only discourages underground sales, but converts illicit sellers to the new system, said Tim Boekhout van Solinge, a Dutch criminologist. What I am mainly following is who will be the new legal growers, and whether authorities manage to get some of the illegal growers to become legal growers, he said. Each country around the world that has debated whether to relax cannabis laws has had its own priority in mind: from generating revenue to discouraging drug cartels. In Canada, the emphasis has been largely on public health. Cannabis will be sold in fairly plain packaging, and usually through government-run boards that already control liquor sales. It wont be like buying Budweiser or branded alcoholic products, said Steve Rolles of Transform, a UK drug policy thinktank. Its going to be more like buying pharmaceuticals from a chemist. Still, its hard to know whether Canada, or any similar western country, will be able to stick to that public-health focus, he said. We have concerns that the lessons from alcohol and tobacco wouldnt be learned, and we might see overcommercialized markets in which profit-making entities would seek to encourage more use and could encourage risky consumption behaviours, he said. So far, Canada has allowed a few major players to dominate the industry, and their influence remains to be seen, said US marijuana industry expert Mark Kleiman. You dont want to build up big vested interests that then resist any change, he said. If you have commercial industry in cannabis, theyre going to end up writing the laws. For epidemiologists, Canada will provide the best-ever data sets on cannabis use. Colorados health results have been encouraging, said Wolk. But overall, researchers lack solid data about cannabis use. 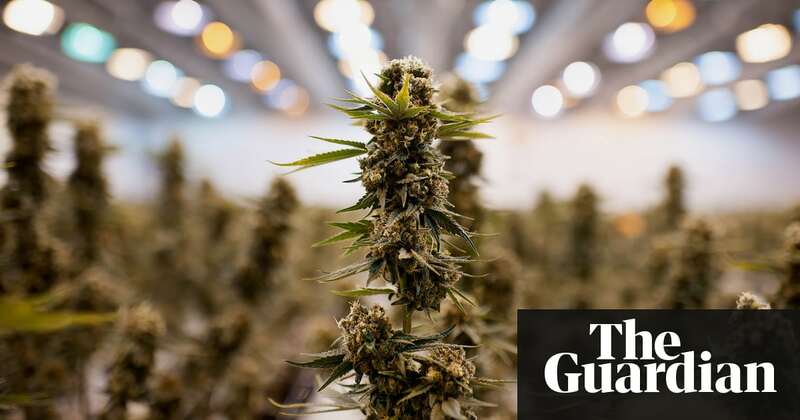 Some key questions include addiction levels, how cannabis affects mental health, and effects on young people, said Israeli scientist Raphael Mechoulam, often called the grandfather of cannabis research. About 10% of the users may be addicted less than alcohol or tobacco, he said. 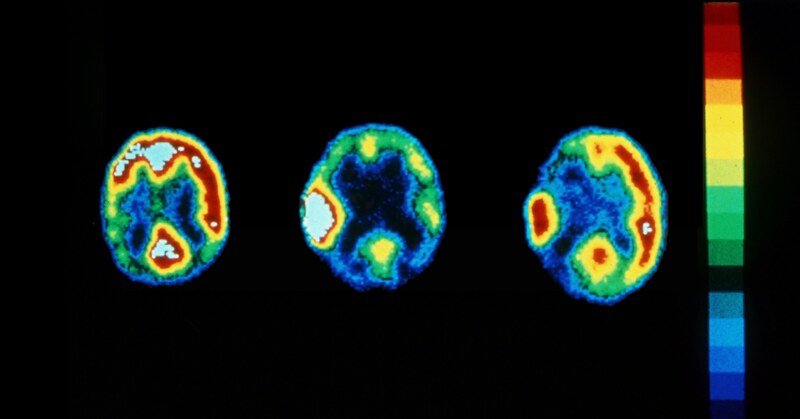 Some users, who are already prone to schizophrenia, may get the disease earlier. He said he is also keeping an eye on whether heavy use by young people may affect their central nervous system. Another current Canadian health debate is how many people will be light, casual cannabis users, and how many will be heavy users. The government still must decide how to approach products that are very potent in THC, the psychoactive compound in cannabis, said Mark Ware, a drug researcher and pain specialist who helped lead Canadas federal taskforce advising the new legislation. Black-market sellers have produced increasingly strong concentrates, he said. Those have not been the subject of studies up until recently, so the question of whether to regulate those, allow them in whatever context, and then be able to study their impacts on health, that would be very important, he said. But once theyre out there, its very hard to put them back in the box again. Canadian police, meanwhile, will grapple with how to crack down on cannabis-impaired driving. Thats already a struggle around the world, regardless of marijuanas legality, said Rolles. But its much more difficult to measure impairment from cannabis than from alcohol, and enforcing a legal limit will prove tricky. Meanwhile, many investors have already made huge profits from cannabis stocks, and a big question for them is whether the bubble bursts or the value keeps rising. Theyre waiting to see if the skys going to fall, said Sinclair of Canopy. One of about 100 Canadian legal producers of medical cannabis, the company owns a third of the medical market, began trading on the Toronto stock exchange in 2016 and last month became the only cannabis producer on the New York stock exchange. [Investors] are waiting to see if all the stigma and all the demonization of this product thats built up in 90 years of prohibition is true, Sinclair said. Its on us to demonstrate that its not. The number of opioid prescriptions for the elderly and the poor declined in states where medical marijuana is legal, two new studies have found. In one study, researchers at the University of Georgia, Athens, used data from Medicare Part D, a government-run prescription drug program for people older than 65. They found prescriptions filled for all opioids decreased by 2.11m daily doses a year when a state legalized medical marijuana, and by 3.7m daily doses a year when marijuana dispensaries opened. Forty-one million Americans use Medicare Part D. The study analyzed data between 2010 and 2015. In a second study, researchers at the University of Kentucky examined opioid prescription data from Medicaid, a government-run program for the poor and disabled. More than 74 million Americans use Medicaid. That analysis found state medical marijuana laws were associated with a 5.8% lower rate of opioid prescribing, and states with recreational marijuana laws were associated with a 6.3% lower rate of opioid prescribing. That study used data from 2011 to 2016. Both studies were published in Journal of the American Medical Association Internal Medicine. The findings are likely to bolster legal marijuana advocates, who have long contended legal marijuana could curb the opioid epidemic. Americas overdose crisis has claimed more lives each year since the early 2000s, when powerful opioid painkillers such as Oxycontin were aggressively marketed. In 2016, more than 64,000 people died of an overdose. In a JAMA opinion piece accompanying the research, Drs Kevin Hill from Harvard and Andrew Saxon from the veterans affairs health system wrote that the research supports anecdotal evidence from patients who describe a decreased need for opioids to treat chronic pain after initiation of medical cannabis pharmacotherapy. Marijuanas effect on opioid use remains contested. 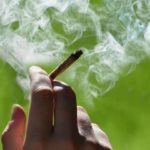 Researchers at the National Institute on Drug Abuse found illicit marijuana use was associated with increased illicit opioid use. That study used data from the National Epidemiologic Survey on Alcohol and Related Conditions, which has produced analyses skeptical of the benefits of liberalizing marijuana. Meanwhile, a 2014 JAMA Internal Medicine study would seem to support the new findings. That study found states with medical marijuana laws had higher overdose rates, but that those rates declined in years after medical marijuana laws were implemented, with an average 24.8% decline. The Trump administration made curbing the epidemic a major public health target. Most efforts focus on criminal prosecutions of drug dealers, including emphasizing the death penalty and civil litigation. The attorney general, Jeff Sessions, opposes efforts to liberalize marijuana access, and claimed marijuana fueled the overdose epidemic. No new money has been allocated to the crisis since Trump took office. Further, Republican proposals for cuts to Medicaid would have disproportionately affected people in addiction treatment. Experts believe serious efforts to curb the epidemic will cost billions and will need to address bottlenecks in mental health infrastructure. Both studies have limitations. First, the opioid crisis has touched every state in America, but there are regional variations. And marijuana laws vary significantly. People who rely on Medicaid or Medicare Part D are generally poor, disabled and elderly, meaning the findings may not apply to the population in general. Further, it is unclear whether people avoided opioids when medical marijuana was available. Many companies and states (via taxes) are profiting from the cannabis industry while failing to support research at the level necessary to advance the science, wrote Hill and Saxon. This situation has to change to get definitive answers on the possible role for cannabis in the opioid crisis, as well as the other potential harms and benefits of legalizing cannabis. 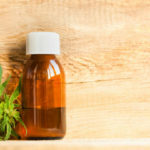 In early May, a federal court declined to protect cannabidiol (CBD), a chemical produced by the cannabis plant, from federal law enforcement, despite widespread belief in its medical value. The ruling was contrary to existing evidence, which suggests the chemical is safe and could have multiple important uses as medicine. Many cannabis advocates consider it a miracle medicine, capable of relieving conditions as disparate as depression, arthritis and diabetes. The perception of its widespread medical benefits have made the chemical a rallying cry for legalization advocates. The first thing to know about CBD is that it is not psychoactive; it doesnt get people high. The primary psychoactive ingredient in marijuana is tetrahydrocannabinol (THC). But THC is only one of the scores of chemicals known as cannabinoids produced by the cannabis plant. So far, CBD is the most promising compound from both a marketing and a medical perspective. Many users believe it helps them relax, despite it not being psychoactive, and some believe regular doses help stave off Alzheimers and heart disease. At age five, Charlotte suffered 300 grand mal seizures a week, and was constantly on the brink of a medical emergency. Through online research, Charlottes desperate parents heard of treating Dravet with CBD. It was controversial to pursue medical marijuana for such a young patient, but when they gave Charlotte oil extracted from high-CBD cannabis, her seizures stopped almost completely. In honor of her progress, high-CBD cannabis is sometimes known as Charlottes Web. After Charlottes story got out, hundreds of families relocated to Colorado where they could procure CBD for their children, though not all experienced such life-changing results. Instead of moving, other families obtained CBD oil through the illegal distribution networks. Epidiolex was developed by the London-based GW Pharmaceuticals, which grows cannabis on tightly controlled farms in the UK. It embarked on the Epidiolex project in 2013, as anecdotes of CBDs value as an epilepsy drug began emerging from the US. 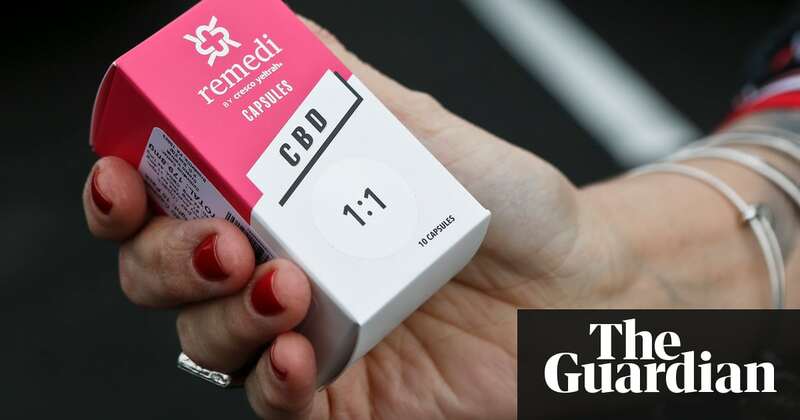 While parents treating their children with CBD had to proceed based on trial and error, like a folk medicine, they also had to wonder whether dispensary purchased CBD was professionally manufactured and contained what the package said it did. GW brought a scientific understanding and pharmaceutical grade manufacturing to this promising compound. Fortunately, like THC, CBD appears to be well tolerated; as far as I can tell, there are no recorded incidents of fatal CBD overdoses. Since Weed first aired, GWs stock has climbed 1,500%. GWs first drug Sativex, which contains both CBD and THC, is available as a treatment for MS-related spasticity in Canada, Australia, and much of Europe and Latin America. The company is also studying cannabinoid-based drugs as a treatment for autism spectrum disorders, an aggressive brain tumor called glioblastoma, and schizophrenia. In Los Angeles, its among the latest wellness fads. It can be found in cocktails, and an upscale juice shop will even add a few drops of CBD infused olive oil to a beverage for $3.50.